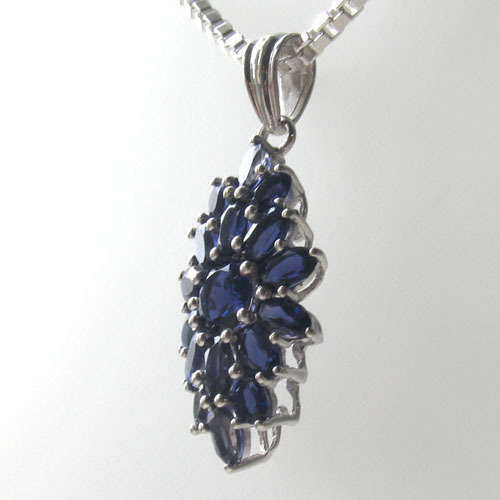 Iolite cluster pendant claw set in sterling silver. Iolite has a wonderful rich indigo colour and this stunning pendant features excellent quality iolite gemstones. 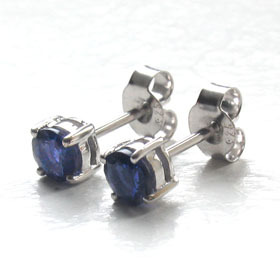 They have full colour and excellent brilliance so as the light plays across the facets of the stones, the rich deep colour twinkles with violet blue. 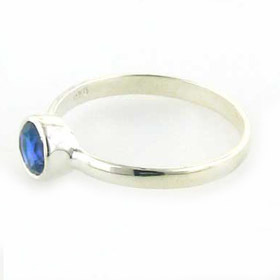 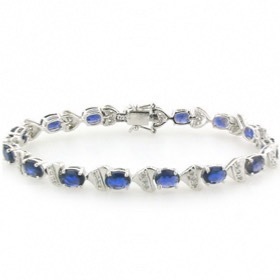 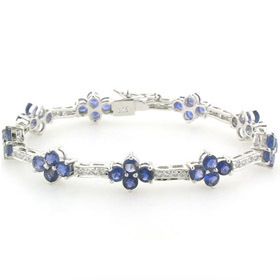 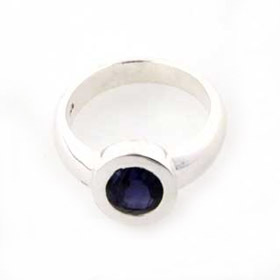 Iolite is a little known semi-precious gemstone but once discovered, never forgotten and often worn! 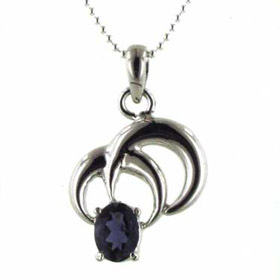 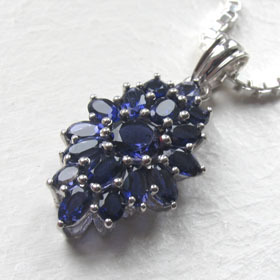 This iolite pendant features a round central stone around which are 16 oval iolites. 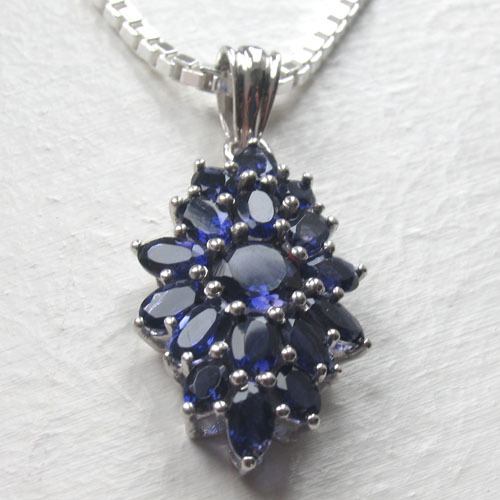 Each stone is claw set into this beautiful design. 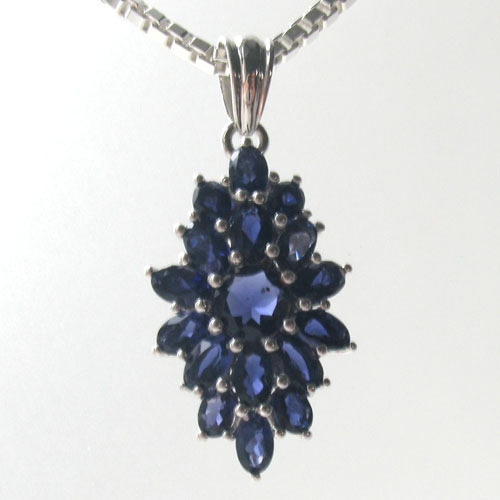 The pendant is gently convex, which angles the stones for maximum light exposure. 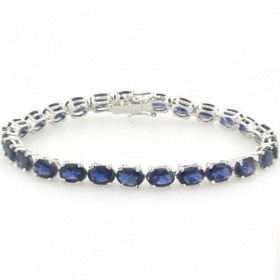 It sits perfectly either high at choker length or lower at a more conventional position. 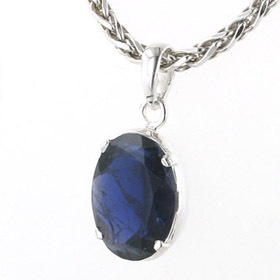 For the ideal sterling silver chain to wear with this beautiful pendant see our collection of Italian sterling silver chains. 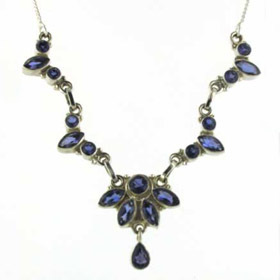 The chain featured is our diamond cut box chain, width 2mm.